Free delivery option available at the checkout. Some postcode exclusions apply. UK mainland only, excludes Scottish highlands. For orders outside of the UK please contact us. 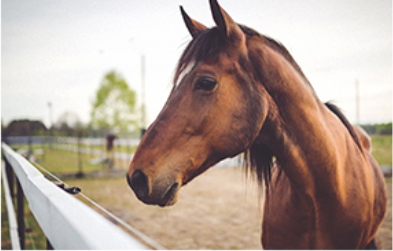 Unlike humans, horses rely heavily on fermentation by a number of different species of bacteria to digest plant material in the large intestine. Changes in diet, stress and exercise can lead to imbalances between the different species of bacteria, which in turn can upset the environment in the hindgut and cause overgrowth of bad bacteria. Fungal toxins (mycotoxins) which are common feed contaminants, but difficult or impossible to detect without laboratory testing, can lead to growth impairment, poor condition, poor health and poor performance. Why is our Gut Balancer Unique? Gut Balancer contains a protected live yeast of the species Saccharomyces cerevisiae. The yeast inside each granule is protected from acidity, heat and moisture by a layer of dead yeast cells which enhances stability meaning that more yeast cells reach the hindgut alive. Micro-organisms such as yeast which have a beneficial effect on health when eaten are often referred to as probiotics; when translated this means literally "for life". In the hindgut, probiotics such as specific species of yeasts if fed in sufficient amounts, and in a formulation that ensure they survive the conditions in the stomach and small intestines, can influence the balance between good and bad bacterial species. By using our unique protection system, we ensure the optimum level of live yeast reaches the hindgut without being affected by the conditions above. The benefits include stabilisation of the conditions in the large intestine resulting in the stimulation of natural fermentative activity, improving fibre digestion helping to realise and unlock potential from forages such as hay and haylage and aid the efficiency of digestion. Gut Balancer should be fed on a daily basis to help support a healthy Gastrointestinal (GI) tract and to help support gut health and aid digestion. It is also ideal for older horses, poor doers and horses and ponies that lose condition at any time of year. 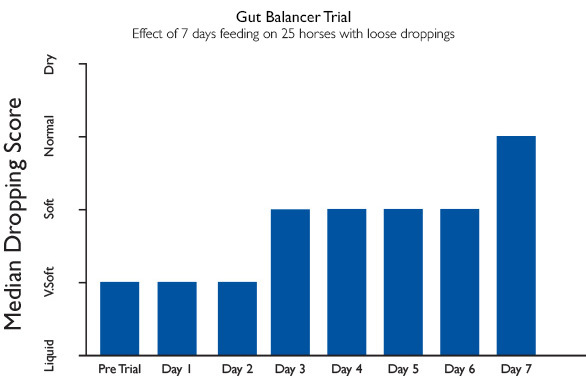 Gut Balancer may also be fed to horses or ponies at times of increased stress, travelling, competition, change of yard or a change in hay or feed etc. This product is highly concentrated and has a strong taste. For fussy feeders introduce slowly or mix with a small amount of molasses. Per Daily Feed Rate (3 x 25ml scoops; 50g) provides: 20g protected live yeast (equivalent to 2.1 x 1011 CFU), 10g fructooligosaccharides (FOS), 5g mannanoligosaccharides (MOS) and betaglucans. Ash 2.1%; Protein 25.3%; Fibre 2.2%; Oils & Fats 1.0%; Moisture 4.6%, Sodium <1%, Calcium <1%, Phosphorous <1%. Protected live-yeast (Saccharomyces cerevisiae), fructooligosaccharides (FOS) from chicory root, yeast cells walls from Saccharomyces cerevisiae, rice flour. All our articles are designed to give you the best advice possible. New class, new sponsors and 100's of prizes. There’s plenty of marketing and claims surrounding feed & supplements but how do you know that what you are feeding is safe and more importantly legal? 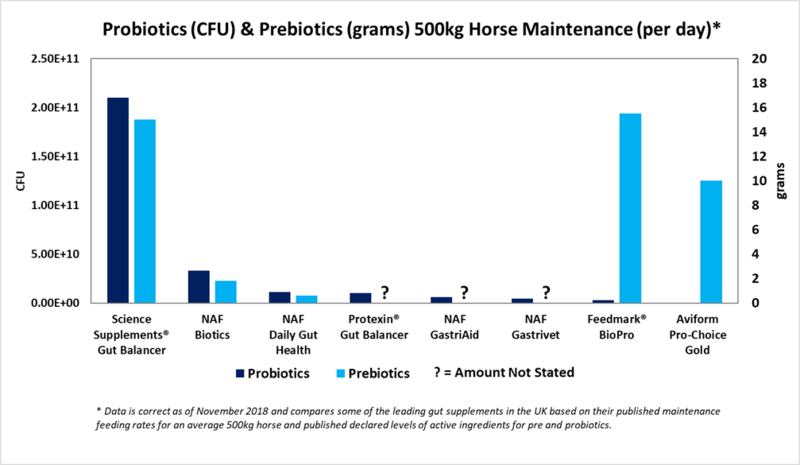 When we talk about positive tests in horses people generally associate this just with deliberate doping but this is not the case and many high profile cases have involved feed or supplement contamination. 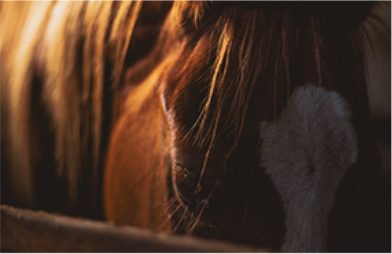 We are equine nutrition specialists, that are committed to supplying our customers with the finest quality horse supplements.